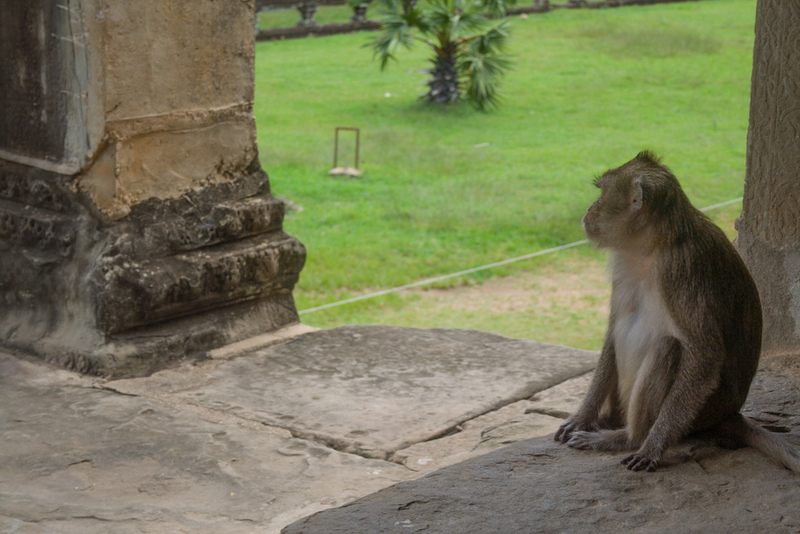 Today I walked to Angkor Wat from my room (6km) as I don’t have enough money for a moto driver for the day really. It is 40USD for a 3 day pass. Consequently I only have 1.67USD left for my evening meal tonight which ain’t going to happen. 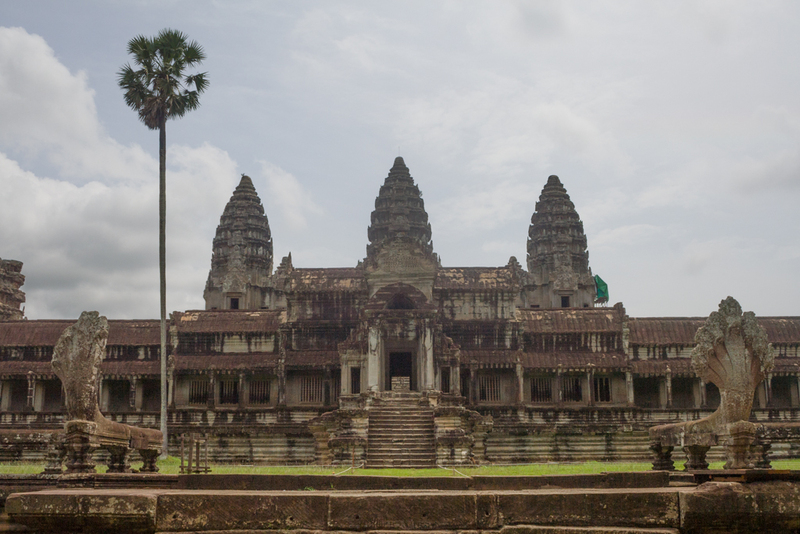 Angkor Wat was impressive not because of it’s size or towers but because of the carvings in the outer wall. They were amazingly detailed and in remarkably good condition to say that they were done in the 12th Century. I really did like them. 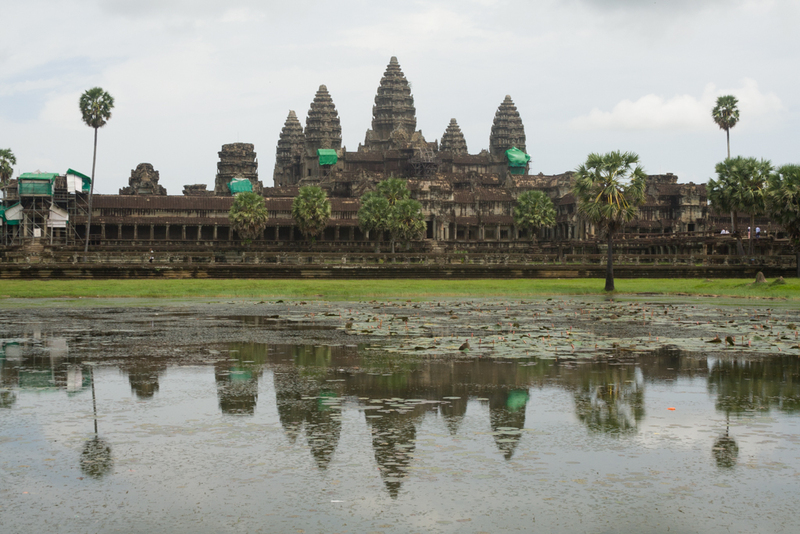 How do they measure that Angkor Wat is the biggest religious building in the world? It’s got to be floor space including cloisters and possibly outer wall too, as the central bit ain’t that big. Right now I’m exhausted after walking all day!